The first carnival of the year in Europe is celebrated in the village of Silio, in Cantabria (northern Spain). 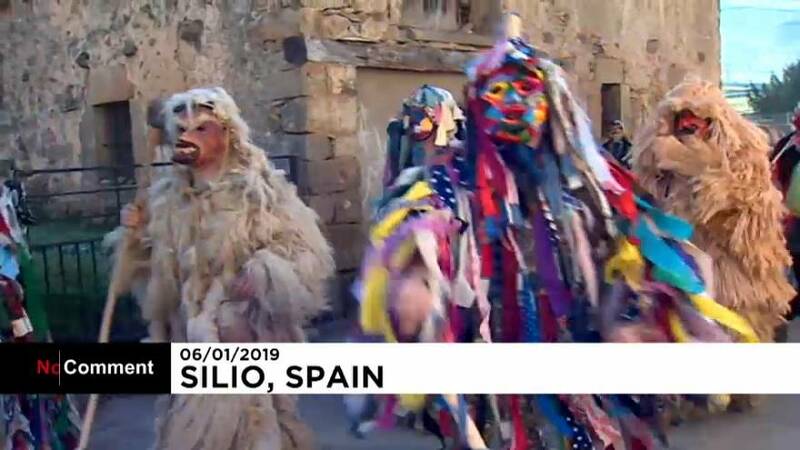 Every first Sunday of the year, the village of Silio celebrates this carnival-type festival called 'La Vijanera' symbolising the triumph of good over evil. La Vijanera attracts the participation of crowds of residents wearing different masks, animal skins and brightly coloured clothing who play the role of figures such as “La Pepa” (symbol of the Spanish constitution), “The Madame” and “The Elderly” in an open-air theatrical performance. All the figures symbolise different things and as they parade through the village they stop now and again to entertain the procession of people following them.